The number of cattle and calves on feed for the slaughter market in Colorado feedlots with a capacity of 1,000 head or larger was estimated at 970,000 head as of January 1, 2018. The latest inventory was down 2 percent from December 1, 2017, but up 8 percent from January 1, 2017. The inventory included 565,000 steers and steer calves, down 1 percent from last year's number. 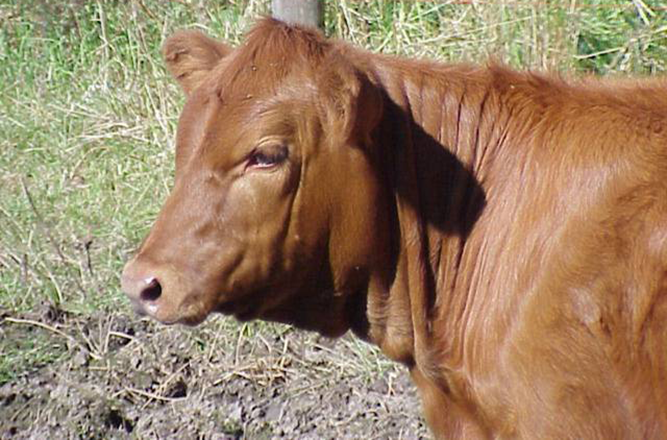 The number of heifers and heifer calves, at 405,000 head, are up 23 percent from a year ago. Cattle feeders with 1,000 head or larger capacity marketed an estimated 135,000 head of fed cattle during December 2017, no change from the previous month and no change from the December 2016 marketings. An estimated 120,000 cattle and calves were placed on feed during December 2017, 20 percent below last month and down 8 percent from the December 2016 placements of 130,000 head. Of the number placed in December, 25 percent weighed less than 600 pounds, 25 percent weighed from 600 to 699 pounds, 21 percent weighed from 700 to 799 pounds, 17 percent weighed 800 to 899 pounds, and 13 percent weighed 900 pounds or greater. Other disappearance for December was estimated at 5,000 head, no change from last month or last year. Cattle and calves on feed for the slaughter market in the United States for feedlots with capacity of 1,000 or more head totaled 11.5 million head on January 1, 2018. The inventory was 8 percent above January 1, 2017. The inventory included 7.34 million steers and steer calves, up 4 percent from the previous year. This group accounted for 64 percent of the total inventory. Heifers and heifer calves accounted for 4.15 million head, up 16 percent from 2017. Placements in feedlots during December totaled 1.80 million head, 1 percent above 2016. Net placements were 1.73 million head. During December, placements of cattle and calves weighing less than 600 pounds were 470,000 head, 600-699 pounds were 410,000 head, 700-799 pounds were 445,000 head, 800-899 pounds were 279,000 head, 900-999 pounds were 100,000 head, and 1,000 pounds and greater were 95,000 head. Marketings of fed cattle during December totaled 1.75 million head, 1 percent below 2016. Other disappearance totaled 74,000 head during December, 35 percent above 2016.